The pin-tailed green pigeon (Treron apicauda) belongs to the family Columbidae under the order Columbiformes. 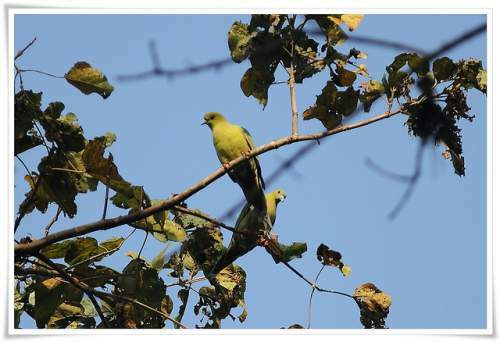 The family Columbidae comprises, 3 subfamilies, 42 genera and 310 species, including genus Treron. 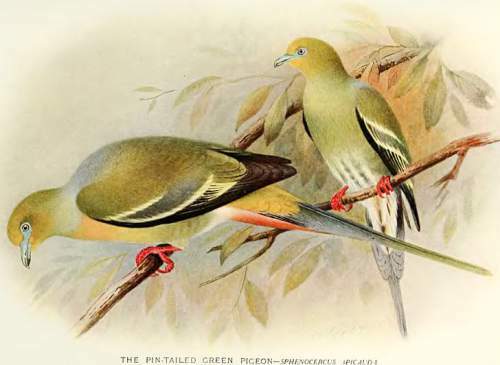 The family Columbidae was first described by William Elford Leach, MD, FRS (2 February 1791 – 25 August 1836), an English zoologist and marine biologist, in a guide to the contents of the British Museum published in 1820. The genus Treron comprises 29 species, including species Treron apicauda. 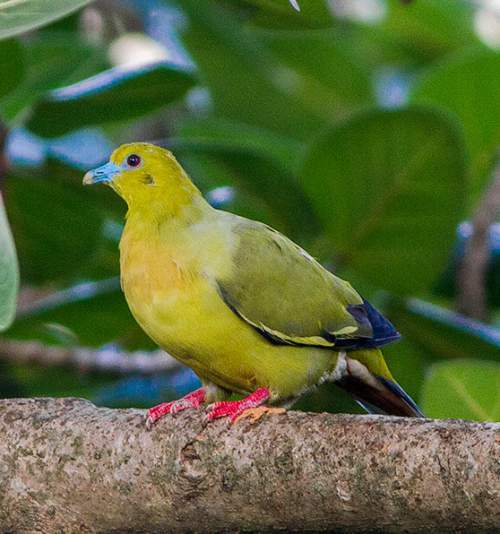 The genus Treron was first introduced by Louis Pierre Vieillot (May 10, 1748 – August 24, 1830), a French ornithologist, in the year 1816. The species Treron apicauda was first described by Edward Blyth (23 December 1810 – 27 December 1873), an English zoologist, in the year 1846. The species Treron apicauda is polytypic and comprises three subspecies, viz., Treron apicauda apicauda, Treron apicauda laotinus and Treron apicauda lowei. 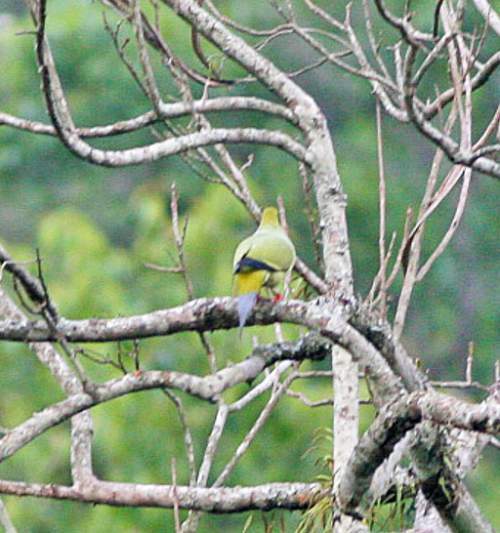 Current topic in Birds of India: Pin-tailed green pigeon - Treron apicauda images.